PASS Ltd is a fully accredited Anton calibration, servicing and repair centre, with highly-skilled engineers and a quick, reliable turnaround, it makes us the ideal choice for ensuring your meter’s correct operation and little downtime for your business. We provide a comprehensive service for all Anton flue gas analysers, including meter cleaning, sensor checks and repairs and we are also accredited to carry out warranty repairs on Anton products, including Anton Sprint eVo flue gas analysers, original Anton Sprint analysers and other equipment. 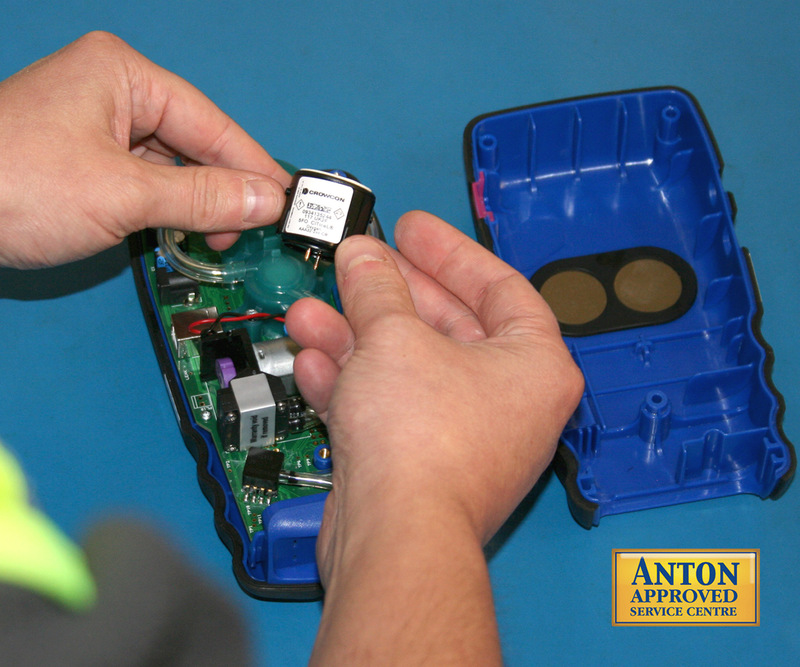 Repairs and cell changes are carried out using genuine Anton parts, ensuring full compliance with Anton five year warranty programs and ensuring your meter is still covered. If your meter is not listed, please contact us directly for more information on available options. Calibration of your analyser is essential; it ensures that your meter’s accuracy is maintained and you’re still working to all applicable standards. When you first bought your analyser, it will have been calibrated and tested to ensure its accuracy. As times goes on, a wide variety of factors ranging from excessive concentrations of gas (which can damage a sensor) or even a knock to the meter takes can affect its internal components, resulting in a drop in accuracy. Calibration tests the flue gas analyser against known standards to ensure that the accuracy is maintained and there isn’t an issue. If there is a problem, our technicians can diagnose and fix smaller faults to ensure accuracy, or carry out warranty repairs for larger issues. If there’s a problem with your meter that will incur additional costs for repair, we will contact you directly before going ahead to make sure you’re happy for us to do the work. British standards BS7967 and BS EN 50379 require that flue gas analysers are within their required calibration spec, which means you must, at all times, have a current calibration certificate for your analyser.